Sometimes you need to have the right tools for the right job, sometimes those tools are very niche. 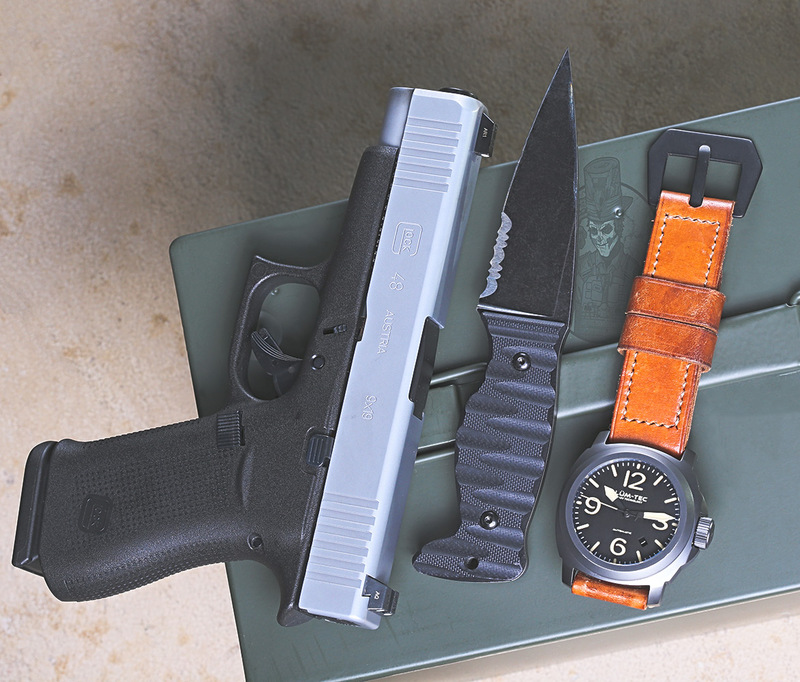 The Glock 48 is new to the market but very good for concealment while still retaining a full size (Glock 19 type) feel. The amtacblades.com Northman is designed for a myriad of tasks and purposes, most of which you do on a daily basis. It is a work horse of a blade and if you are still carrying a folding (pre-broken) knife, then you should upgrade immediately. The Lumtec M80 is a very good daily wearable watch with a lot of 24mm strap options. You can use all of Panerai's straps on this watch and that means an entire world of strap is opened up. The PVD finish is awesome.